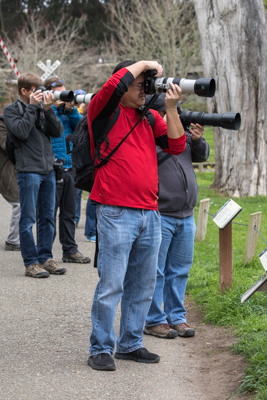 Wildlife photography can be an amazing and frustrating experience. Amazing in that you are able (in some cases) to see animals acting in their normal environment and reacting naturally to that environment. It can be frustrating in that animals are never as close as you'd like them to be (for good reason) and not knowing how they'll react in their natural environment to boot. Plus, setting up a camera and lens for wildlife photography is completely different than that of landscape or travel photography. But once you get dialed in, the experience is breathtaking. I think the frustration that comes with waiting for a wild creature to do something you want it to do is part of the fun and the experience. If were that easy, everyone would be doing it. It takes time and patience (with a fair bit of practice) to build a portfolio of amazing wildlife images. 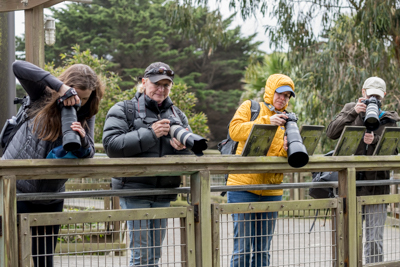 The San Francisco Zoo is a perfect place to hone the skills necessary to take your wildlife photography to the next level. 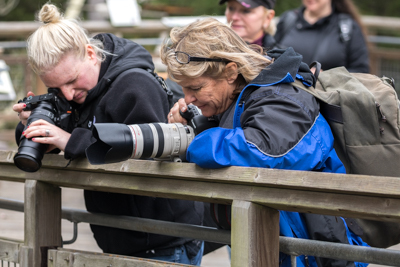 At The Aperture Academy, people of all skill levels take this beginning workshop at the zoo to hone those skills to be a more proficient photographer. 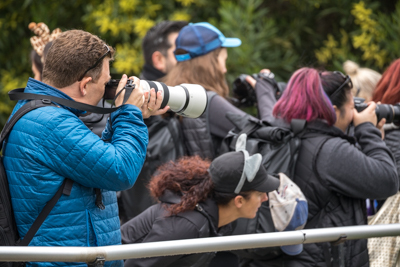 Fellow instructor Mike Wardynski and I met a full group at the zoo to provide the insights necessary to help them in their quest for better wildlife photos. We started off with a round of introductions so that we could learn a little more about each persons individual needs. 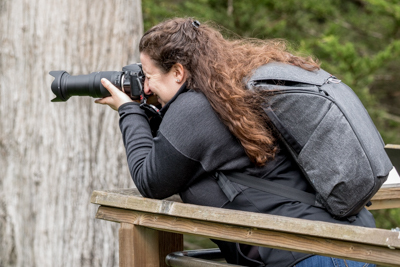 Some folks just want to learn the settings, some people need help with composition, and some just want to learn and observe what a professional would do in certain situations. We take all kinds! Mike and I then spent some time with each person helping them set up their cameras for wildlife shooting. We changed spent time talking about focus points, focusing modes, metering, white balance, drive modes, and ISO. 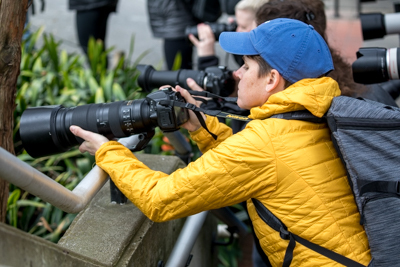 In most cases, setting up the camera for wildlife or fast action, is very different than any other kind of photography. Getting the cameras and lenses set up correctly means you'll have more of a chance to capture that defining moment when it happens. 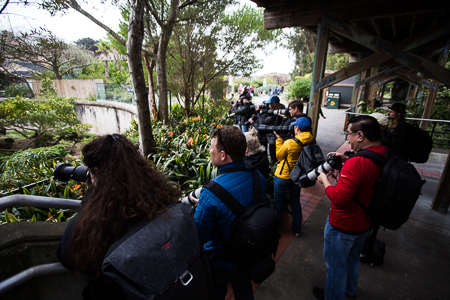 After entering the zoo, Mike and I led our group on a basic tour around the zoo, literally. We started with the Mandrills and Patas Monkeys. Their enclosures helped us in teaching about distracting backgrounds. And how you would want to move yourself slightly to change the background and to be aware of your surroundings. We then on to the big cats, usually they are more active near the early morning, but as the sun hadn't shown from behind the clouds yet, they were still a little lethargic. So moved around the border of the zoo to the bears and stopped at the Grizzlies and Black Bears. Then we moved indoors to the rainforest area. 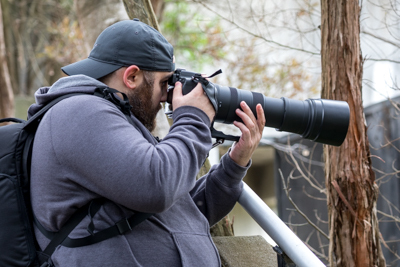 This is great place to learn about shooting in darker environments, as the canopy of the trees often seriously cuts the available light for photography. So we had a lesson in ISO and keeping the shutter speed high for hand holding the bigger lenses. 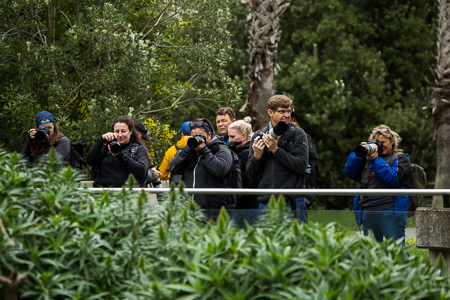 After a short break for food, we headed out to the African wildlife area, where at the Gorilla enclosure we caught a rare view of the silverback sitting right in front of a glass window with the zoo handlers behind. Although this was not a "traditional" looking wildlife photo, as a documentary photo it was as close to perfect as you could imagine. A photo like this really tells a story about life for an endangered and captive animal, whether good or bad. After spending some time looking at the Giraffes and Zebras, we headed back to the cats hoping the afternoon sun would rouse them from their morning slumber. And we were right! The Lions and Tigers were both up and walking around and playing in the moments we had returned. Some of the group learned a lesson in patience vying for the Hippopotamus to open his mouth for a big yawn, while some others were waiting for the big cats to stare into their camera lenses. And before we knew it, our little workshop was nearly over! 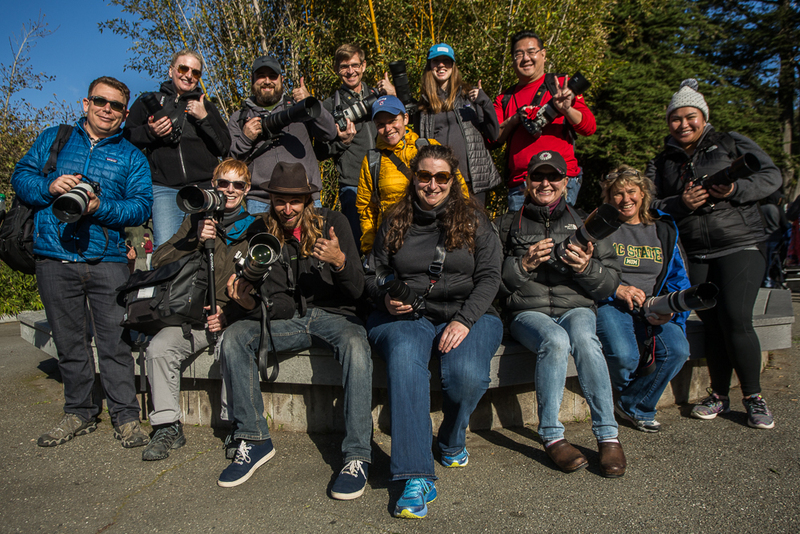 We rustled everyone over for a quick group shot, and spent the waning time answering all the lingering questions about settings, gear, and places of interest.